On Thursday, March 30, 2017, the US Senate Select Committee on Intelligence (SSCI) held an entire day of public hearings in Washington, DC. The SSCI was looking into the allegations that the Russians had influenced the outcome of the 2016 presidential election which elected Donald F. Trump to be the 45th President of the United States. The nature of its duty, Congressional oversight of US intelligence activities, results in very few open public hearings. OpenCdA watched these hearings lasting just over five hours. Congressional hearings are nearly always predominantly boring speechifying by self-serving elected Congressional representatives. These two hearings today were not boring, and there was nearly no partisan speechifying. The Senators on the SSCI were exceptionally well-prepared and asked on-point, insightful questions. The content of their questions and the perspectives and expertise offered by the witnesses suggested that Congress has finally recognized the ongoing threat that information warfare or information operations presents to the United States. Senators took these hearings and the information from them very seriously. We should, too. 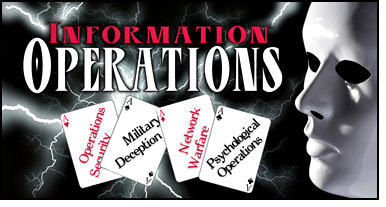 OpenCdA urges citizens who are serious about understanding how effectively the Russians use information warfare strategies and tactics to offset a superior kinetic warfare force will find these five hours of hearings remarkably understandable and educational. The same readers will also better understand just how effectively Russia has manipulated our free press (AKA: the skews media) to influence public opinion. Unfortunately, the hearings also revealed in living color just how derelict our elected officials have been since about 1990 in recognizing the existence, let alone the gravity of info war and info ops. Here are links to video of Thursday’s hearings. OpenCdA hopes that especially younger readers will take time to watch these hearings. You need to understand just how your choice of news delivery platform, often social media like Twitter and Facebook and not just the traditional print and broadcast media, is being manipulated to shape the disinformation you read every day. You will also hear just how easily the Russians turned President Trump’s frequent Tweets against him. The parties and their attorneys in the 2009 Coeur d’Alene election contest lawsuit were notified by the Idaho Supreme Court that Brannon’s Petition for Rehearing Pursuant to I.A.R. 42 was filed this morning. With this morning’s filing, the Petition is now a matter of public record and can properly be published in its entirety. 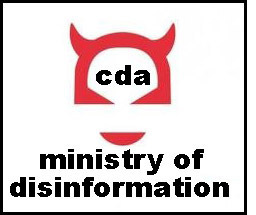 OpenCdA chose not to publish the Petition until after it became a public record with the filing today. On September 19 when the Idaho Supreme Court convenes in Coeur d’Alene to hear oral arguments in the election contest lawsuit Brannon v. City of Coeur d’Alene et al, it will have been exactly 1024 days (2 years, 9 months, 20 days) since the lawsuit was filed to try and restore integrity to the Kootenai County and State of Idaho election processes. 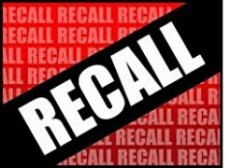 Those of us who have been out gathering signatures on the petitions for recall of Coeur d’Alene Mayor Sandi Bloem, Council President Mike Kennedy, Councilman Woody McEvers, and Councilman Deanna Goodlander have become accustomed to people expressing both agreement and disagreement with the recall effort. 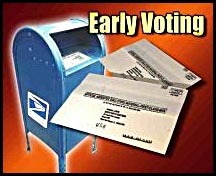 The More-or-Less Press news/views/skews online posting on May 2 titled County drops suit, wants petitions by June 11 indicated that Secretary of State Ben Ysursa’s letter of May 1 to City Clerk Susan Weathers and County Clerk Cliff Hayes had played an important role in the County’s decision to dismiss its petition for declaratory relief. Does Ysursa’s Opinion Really Matter? 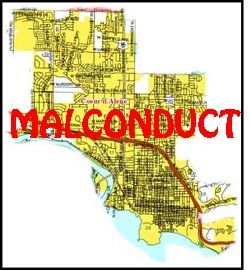 According to this morning’s article in the More-or-Less Press, the CdA Ministry of Disinformation has persuaded Secretary of State Ben Ysursa to help them defeat the effort by a large number of Coeur d’Alene citizens to recall Coeur d’Alene Mayor Sandi Bloem, Council President Mike Kennedy, Councilman Woody McEvers, and Councilman Deanna Goodlander. OpenCdA’s August 22, 2011, post titled Pulling the Plug on Satellites explained that Kootenai County Clerk Cliff Hayes had decided to close all but one absent electors’ voting place in Kootenai County. According to an Associated Press article on November 10, 2011, other county clerks in Idaho had made the same decision — limit absent electors’ polling places to one, and have it located in the county’s elections administration office. 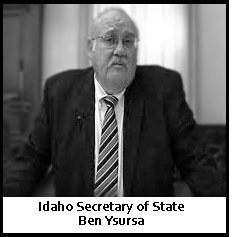 That same article observed that Idaho’s Secretary of State Ben Ysursa would likely support some changes to the election consolidation law which had taken effect only eleven months earlier. Whereas the county clerks were concerned about election integrity and ballot security, Ysursa was apparently primarily concerned about voter convenience. 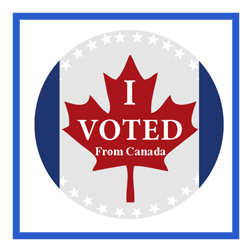 Still, there may be a way county clerks could relaunch satellite voting locations in municipalities without sacrificing election integrity and ballot security. Comments Off on Relaunch the Satellites?